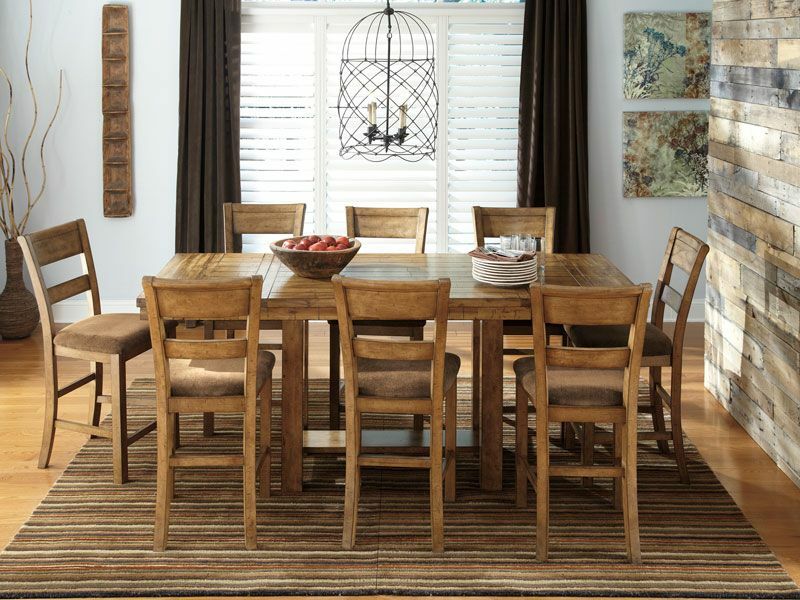 Click the button below to add the Blanche-9pcs Cottage Rectangular Counter Height Dining Room Table Chairs Pub Set to your wish list. 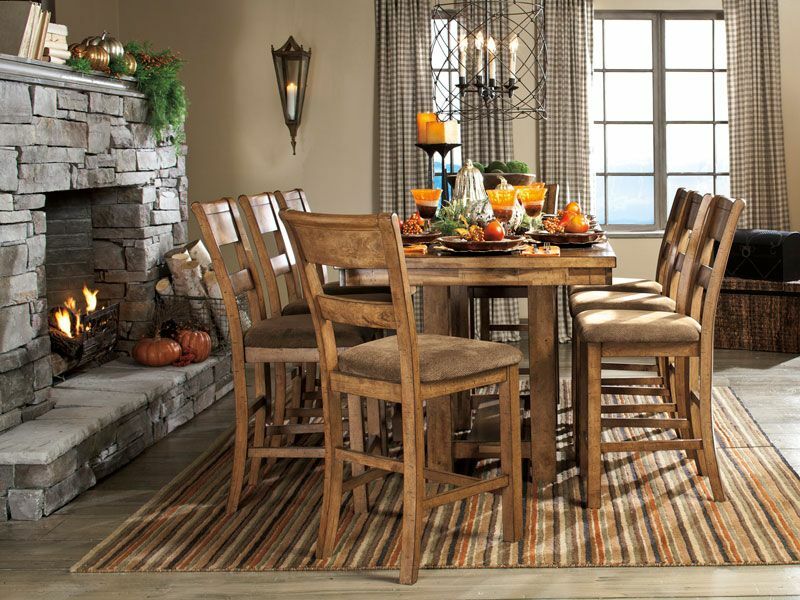 The warm country style of this dining collection takes the thick plank style table top design and bathes it in a warm burnished brown finish that beautifully accents the rich rustic look of this collection to create the ultimate cottage atmosphere for your dining experience. 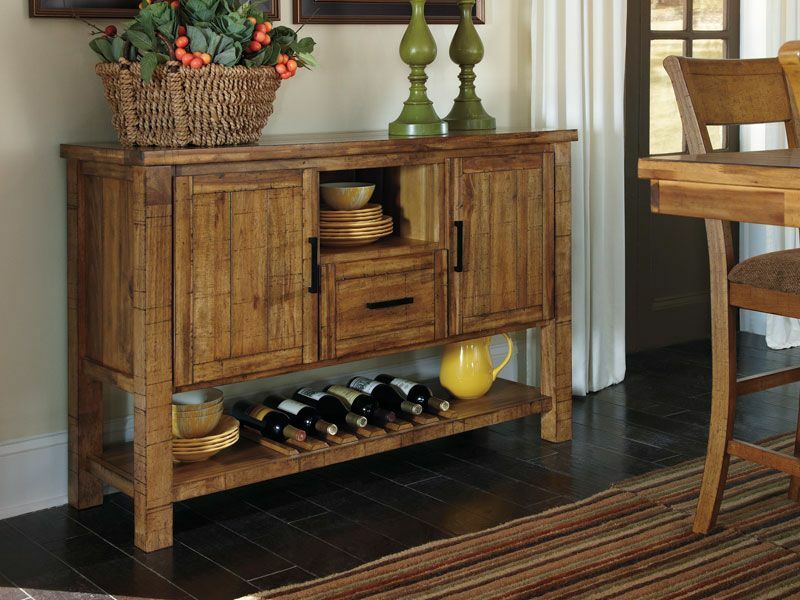 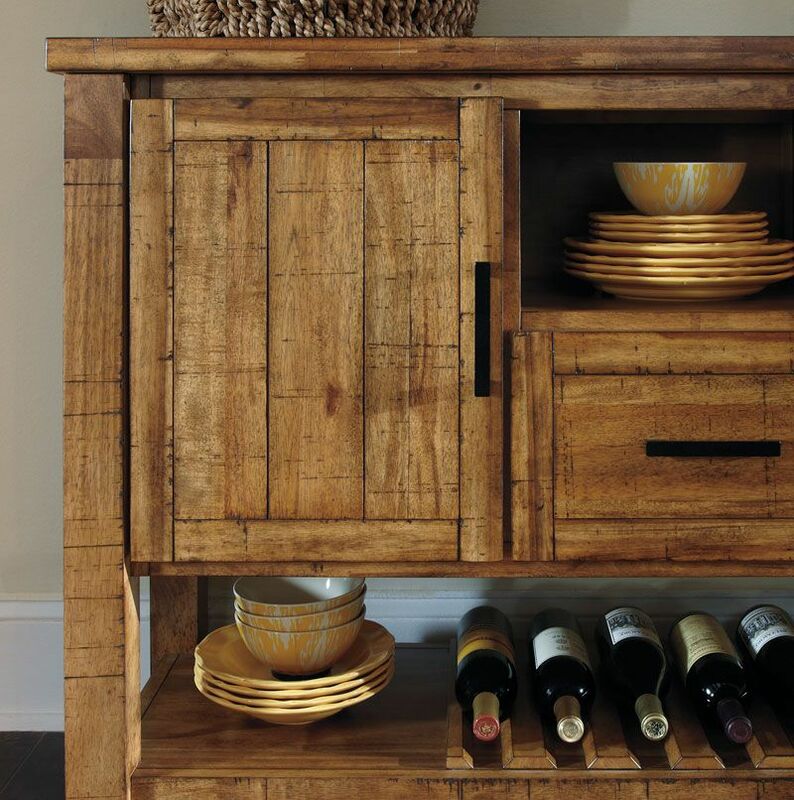 Constructed with select Acacia veneers and solids in Rich light brown burnished finish. 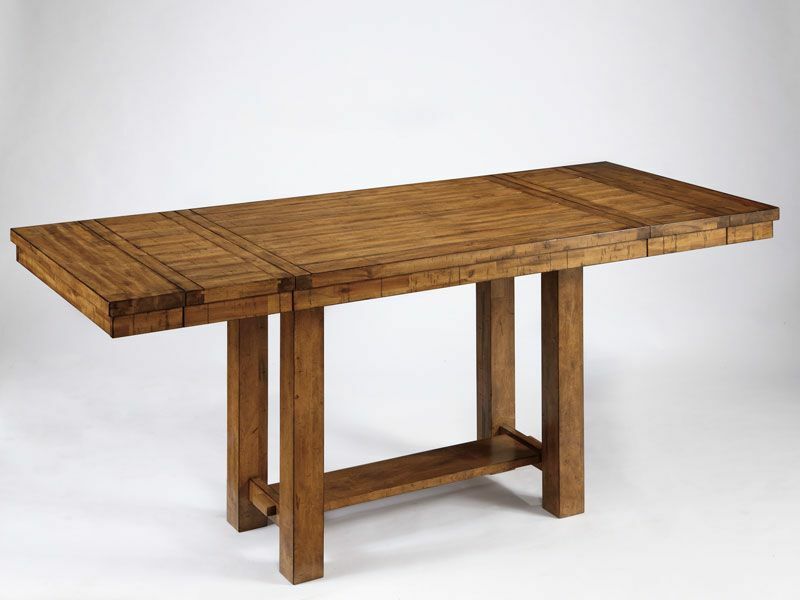 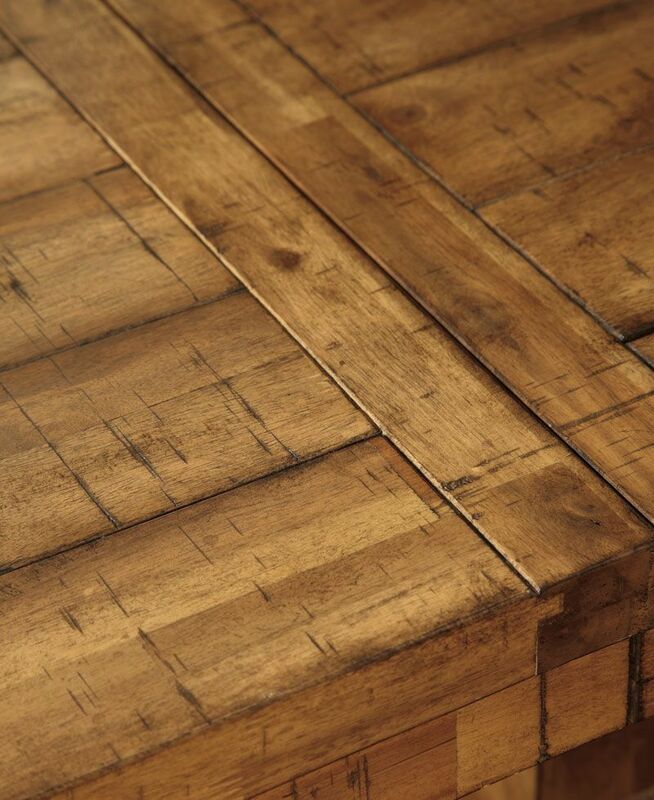 Framed table design has thick top, panel look, hand-aged details and end leaf design. 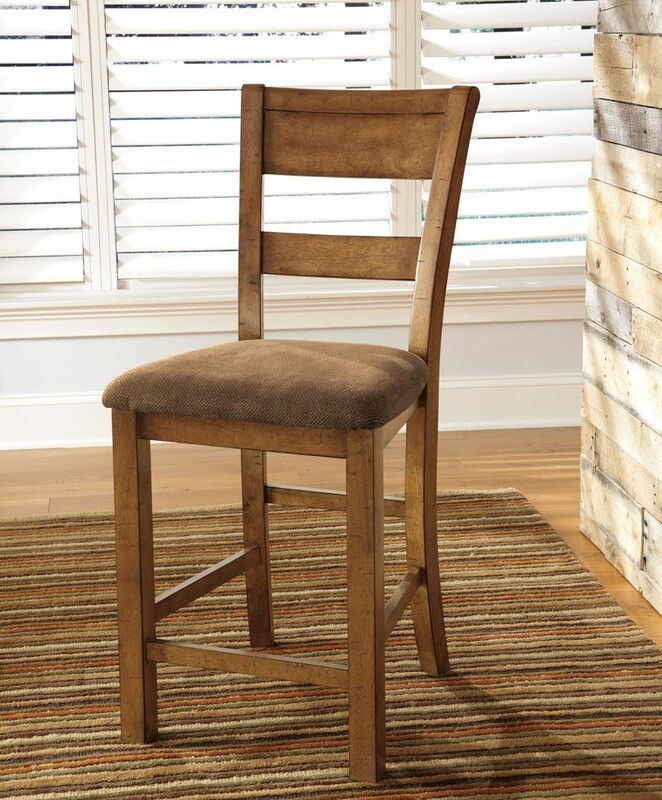 Heavy frame chair design has curved cap rail and light brown fabric seat cover.